Nobody questions the value of getting "a foot in the door." We all strive at one point or another to get a foot in the door with an employer, an institution of higher learning, or even a romantic relationship. As a marketer, however, your interest in getting a foot in the door is more likely with your customers and a hopeful precursor to a big sale! A salesman who gets a foot in the door by getting customers to agree to a small initial request will undoubtedly find greater success with larger requests (think major sales $$!) down the line. 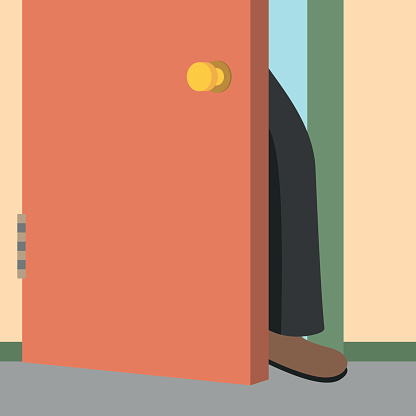 One of the first studies to scientifically investigate the "foot in the door" phenomenon was the 1966 compliance experiment by Jonathan L. Freedman and Scott C. Fraser. This experiment took place in two independent phases that used different approaches and test subjects. Because these studies were conducted on weekdays during the more conservative 1960s, the vast majority of test subjects were housewives. The first Freedman and Fraser study divided 156 subjects into two basic groups. Both of these groups were telephoned by researchers who pretended to be from the consumer goods industry. One of the groups was contacted only once with a relatively large request. The other group was contacted twice, first with an initial small request and then with the much larger second request. In this case, the small request was to simply answer a few questions about kitchen products while the larger request, which came three days after the small request, was to allow someone to come into the home and catalog the contents of all their cabinets. The second study essentially followed the same template as the first, but used the posting of a small and discrete window sign as its small request and the installation of a large and unattractive yard billboard as its large request. The results of the Freedman and Fraser experiment were quite revealing. In the kitchen products study, subjects who agreed to the small first request were more than twice as likely to comply with the large second request. The results of second study backed up those of the first with significantly more people agreeing to place an eyesore of a billboard in their yard after previously agreeing to place a small sign in the window of their home or automobile. Perhaps most surprising, it did not even seem to matter that the promotional social message of the small sign (keeping California clean) was entirely different from that of the gaudy billboard (driving safely). The use of the phrase "a foot in the door" usually conjures images of the old fashioned door-to-door salesman who manages to wedge his wingtips against the doorjamb of your entryway after you answer your doorbell. And we all know that after he gets his foot in the door (or gets you to agree to a small initial request), he will undoubtedly try to make his way into your house (or get you to agree to a much larger second request). But how does this sales technique work in the modern marketing landscape? In short, it's all about calls-to-action (CTAs). If you are distributing printed material that ends with a CTA, you may want to consider how far to push your customer base with your initial request. Don't scare away a potential sale by asking too much too soon. You can wait a bit for that big sale if it means building a comfortable and lasting rapport with your customers. Consider closing your marketing materials with a modest request or CTA and gain compliance for a big future payday!